Generally it is accepted that the falafel recipe has its origin in Egypt but is as well considered as a national dish in Palestine and Israel. 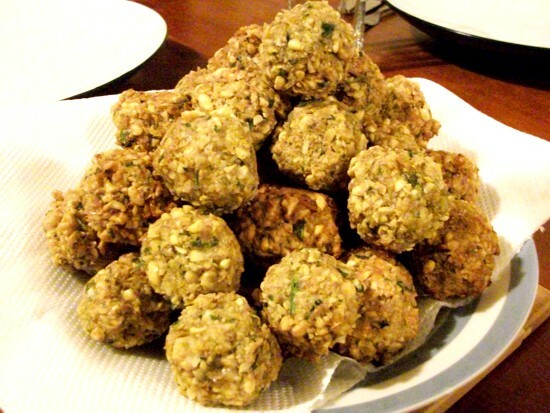 The fried falafel balls soon became a popular street food in the Middle East and spread as such all over the world. Vegetarians and vegans welcome falafel in pita pockets, in sandwich style wraps and vegetable burgers as an alternative. Often the falafel is offered with fresh or pickled vegetables topped with hot sauce, a tahini-based sauce or yoghurt sauce. Falafel taste great fresh but are just as nice as leftover to take in the lunchbox the following day. Soak the chickpeas for at least 4 hours or overnight. For each cup of dry chickpeas use 3 cups of water. Drain and rinse the soaked chickpeas then fill them into a food processor. The onions and cloves of garlic are peeled, quartered and added into the processing bowl. Now add all of the spices to it, the two teaspoons of cumin seeds, and the teaspoon of ground coriander, the quarter teaspoon of black pepper, mild chilli and ground cardamom. Finally stir in one and three quarter teaspoons of Himalayan salt as well as the half cup of freshly washed, spin dried and chopped parsley and coriander. Use the food processor to roughly or finely purée all of the ingredients together. The coarseness of the mass determines the graininess of the falafel or the falafel burger. A hand blender used to blend the mix in smaller portions also does the job. Lastly mix the one and a half tablespoons of spelt flour under. If you have decided on a coarser falafel mix it will be likely that an additional egg mixed under improves the stickiness. This in turn makes forming the balls or burgers easier. Heat your pan with about one tablespoon of coconut oil at medium heat. When a drip of water sizzles it is ready for frying. Use your hands form walnut sized balls with the mixture and place them directly into the pan. When the pan gets to dry add some more frying oil. Turn them when browned. When browned all around take them out and place them onto a kitchen paper towel to let it absorb any excess oil. We rarely fry in a way that the food swims in the oil; there is always so much frying oil left in that process. For this reason we add oil bit by bit as needed in the frying process. This applies to falafel and falafel burgers. The falafel recipe often fills pita bread pocket accompanied by fresh salad leaves and shredded and or sliced vegetables like carrots, cabbage, cucumbers, tomatoes, capsicum and whatever is available or takes the eaters’ fancy and topped with a yoghurt sauce. 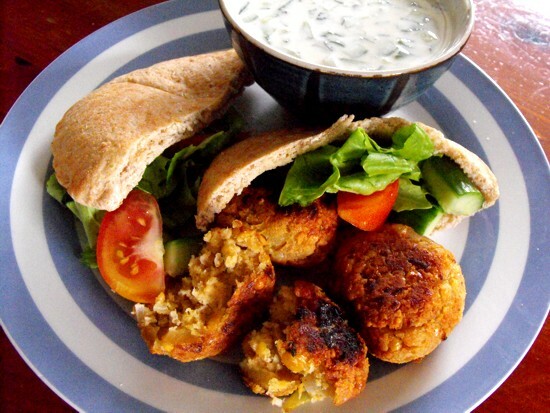 When you tried this falafel recipe please come back and let us know how you got on with the recipe. Chickpeas are healthy very flexible to use or add to a wide selection of recipes.What is your best liked recipe using chickpeas? 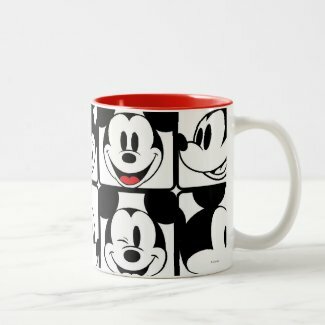 Build your own page around your recipe with some photos to document the step or make it easier to imagine who it could look like.